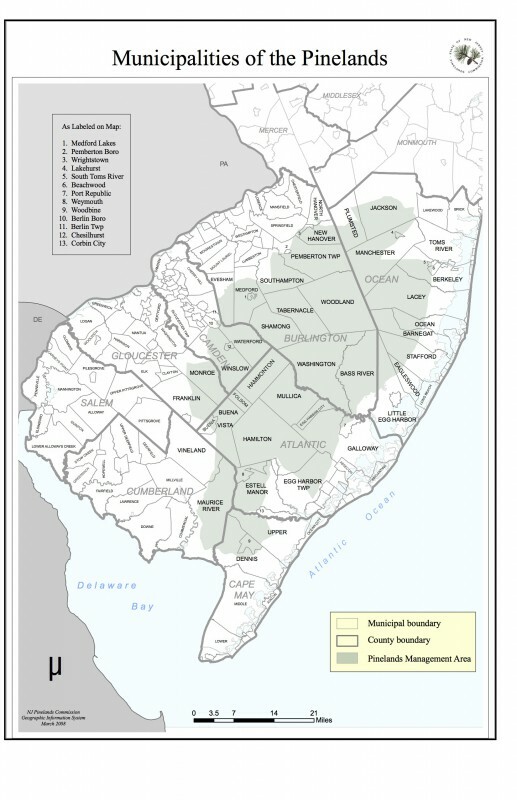 This 2008 map shows the municipalities within the New Jersey Pine Barrens, or Pinelands, which extend into all but one of South Jersey's seven counties. Though White’s claim to fame was blueberry farming, she experimented with other native Pine Barren plants and made a name for herself in the agricultural world of the early twentieth century. In addition to her work in agriculture, White was compassionate and dedicated to helping the less fortunate. She worked with the Cranberry Growers Association to promote fair treatment and better living conditions for migrant workers and their children. Additionally, she helped found the Four Mile Colony in Burlington County, which cared for and trained mentally ill young men and boys. The rich deposits of bog ore along the Batsto River in the Pine Barrens allowed Charles Read to build the Batsto Iron Works in 1766. The business was sold to John Cox in 1773 and the iron produced there soon was used to manufacture supplies during the Revolutionary War. The iron works was purchased in 1784 by the wealthy Philadelphia merchant William Richards, whose family operated the site until its closure. Richards and his family were responsible for most of the construction of the surrounding village. The demand for iron plummeted in the latter nineteenth century, and though Batsto was briefly operated as a glass factory, the company was soon bankrupt. Joseph Wharton took ownership of Batsto in 1876 and was responsible for renovating and updating the town’s buildings and opening a successful sawmill. In the 1950s the State of New Jersey bought the Batsto property and it was designated a National Historic Site that offers visitors a picture of nineteenth-century life through the preserved homes and businesses. The densely wooded, swampy, and sparsely inhabited Pine Barrens of New Jersey are a perfect setting for spooky folk stories, especially those involving mythical beasts. 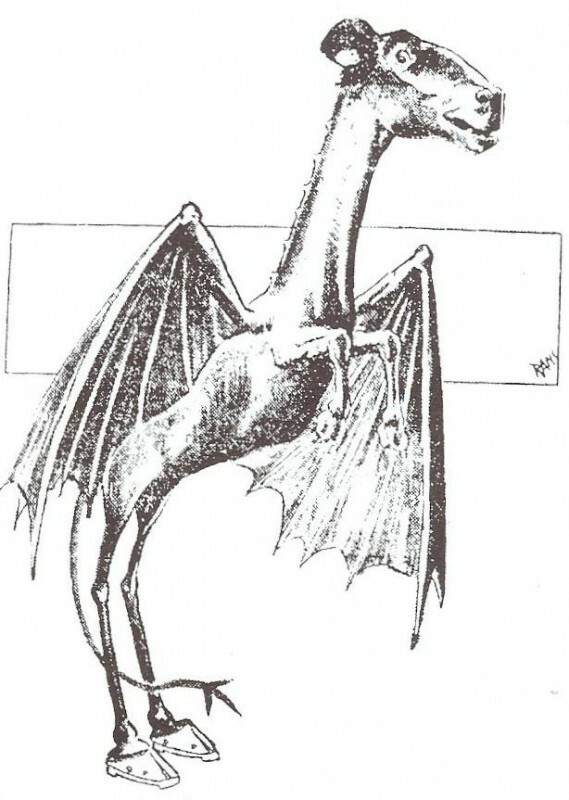 By far the most popular tale is of a winged, hoofed creature with the head of a goat known as the Jersey Devil, depicted here in an illustration published in The Philadelphia Evening Bulletin in 1909. The creature is said to be a mishmash of various animals, and there are a few rumors surrounding its origin. One story claims that Deborah Leeds, upon finding out she was pregnant with her thirteenth child, cursed the baby and it became a monster. Another tale tells of a young woman who fell in love with a British solider during the Revolutionary War and, because she was a traitor, their child was cursed. Yet another version claims Mrs. Leeds was a witch and the baby’s father was Satan himself. Despite conflicting origin stories, New Jersey residents agree that the Jersey Devil harasses and attacks locals that encounter it and the creature has been blamed for killing livestock and pets for over two hundred years. More than two thousand sightings of the mythical beast have been reported by visitors and locals alike, including a story from Napoleon Bonaparte’s (1769-1821) brother, Joseph, who owned a home in the Pine Barrens. 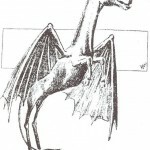 After a string of alleged sightings in 1909, the Camden police were reported to have seen and fired shots at the creature, but were not able to kill or capture it. In the same year, the Philadelphia Zoo offered a $10,000 reward for the Devil’s capture. Some groups continue to hunt for the winged beast and follow unexplained, cloven hoof prints through the woods of South Jersey. However, in the twenty-first century the legend of the Jersey Devil is generally no more that a fun campfire story and a unique New Jersey “bogeyman.” The story has circulated out of the Pine Barrens and become a part of the state’s collective imagination and folklore, as evidenced by many sports organizations that call themselves the New Jersey Devils, including the state’s National Hockey League team. 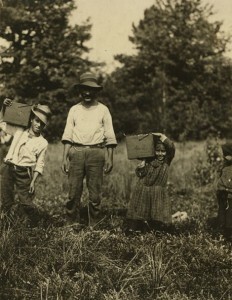 A young girl and boy carry fifteen-pound pecks of cranberries to the “bushel man” at Forsythe’s bog, located outside Pemberton, New Jersey, in the Pine Barrens in 1910. The girl, identified only as Lucy, is an example of the child labor common in the era. Before various child labor laws of the twentieth century were passed, it was not uncommon for children as young as five to do physical labor. Many adults did not make enough money at factory or other labor-intensive jobs, like picking cranberries, and needed their children to work in order to support the family. Sociologist and photographer Lewis Hine (1874-1940) began working for the National Child Labor Committee in 1908 and traveled the United States documenting child labor. 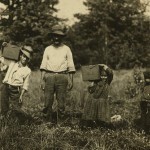 This photograph is one of many Hine took to showcase labor conditions in the cranberry bogs of South Jersey. Fort Dix was established in 1917 under the name Camp Dix to train soldiers for World War I. 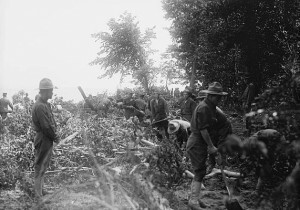 Here, troops clear the dense forest of the Burlington County base in 1918. When peace came, the base served as a discharge center for the Civilian Conservation Corps and was renamed Fort Dix in 1939. 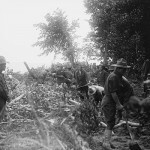 When World War II broke out it again served as a training base, and during the Vietnam War a replica of a Vietnamese village was created at the base. Most soldiers being deployed to Vietnam were unfamiliar with the hot, swampy, junglelike climate of the Southeast Asian country, and the Pine Barrens facility offered specialized training before troops left for the tropics. The fort is still active in training and deploying troops in the twenty-first century. New Jersey’s Pine Barrens, the forest and wetlands area also known as the Pinelands or the Pines, have played a varied but vital role in the region’s cultural and economic history. The Pine Barrens have, over time, been a home to Native American populations, a center of early American industry, a hub of military activity, and a focus of ecological and recreational interest. Although inhospitable to most forms of intensive agriculture, the Pinelands have been a crucial site for the commercial farming of blueberries and cranberries, two of New Jersey’s most valuable fruit crops. Archaeological evidence indicates that humans began inhabiting the region around 10,000 B.C.E. While the land proved unable to support intensive agriculture, these early residents created small settlements sustained through hunting and fishing. The best-known native inhabitants were the Lenape, who used controlled fires to remove underbrush that discouraged hunting and agriculture. Because of the environs’ poor soil, the region did not attract significant European settlement until the late seventeenth century, when colonists began establishing whaling and shipbuilding settlements on coastal perimeters of the woodlands. These industries made the Pine Barrens a valuable source of lumber and other materials needed to manufacture pitch, tar, and turpentine, leading to the growth of sawmills and early Pinelands towns such as Browns Mills, Dennisville, Tuckahoe, and Port Elizabeth. The area’s unique plant life also attracted early botanists. As colonial settlement intensified, the Pine Barrens also proved to be a valuable source of bog iron deposits, wood for charcoal, peat, and sand for glass production. Beginning in the early eighteenth century, sawmills and gristmills were established in the Pines. The Lenape also continued to reside in the Pinelands until treaties negotiated in the aftermath of the Seven Years’ War enacted significant resettlement efforts. In 1758, Brotherton, the first Indian reservation in the colonies, was established in present-day Indian Mills. By 1800, the majority of the Lenape had been forced to migrate out of the region. The Pineland’s nonnative population also began to significantly increase around this time, in large part due to the establishment of iron furnaces and glass factories. The iron industry thrived in the Pine Barrens throughout the late eighteenth and early nineteenth centuries. Beginning in 1757, Charles Read (1715-74), a former Philadelphia merchant who had moved to Burlington, New Jersey, to pursue a political career, purchased property in the Pinelands in the hopes of establishing a chain of ironworks and forges in Batsto, Taunton, Etna, and Atsion. After its construction in 1766, Batsto Iron Works became one of the region’s first and most prominent sites of iron production, though financial troubles soon forced Read to gradually split up and sell these properties to investors from Philadelphia and the surrounding New Jersey region. These investors and other early iron-making industrialists oversaw iron production at more than thirty forges and furnaces throughout the Pines, such as the Atsion Iron Works, Cohansie Iron Works, Etna Furnace, Martha Furnace, and Speedwell Furnace. These sites played a pivotal role in supplying military forces during the American Revolution and the War of 1812. Forges and furnaces were joined by other industries, such as the great glass-making factory of the Pennsylvania landowner and glassmaker Caspar Wistar (1761-1818), who began operating the Wistarburgh Glass Manufactory in violation of colonial laws in 1739 near Alloway, New Jersey. In 1779, the Wistarburgh Glass Manufactory was joined by the Stanger Glass Works, founded by Solomon Stanger (1743-94), a former employee of Wistar, in what later became Glassboro. By the nineteenth century, more than twenty glass manufactories had been established in Pinelands manufacturing towns like Atco, Barnegat, Clementon, Egg Harbor, Estellville, and Green Bank.The region also developed cotton mills after 1810 and paper mills after 1832. Between 1830 and 1840, residents began cultivating cranberries, a water-intensive crop well-suited to the wetlands of the Pines. Iron production in the Pine Barrens declined precipitously in the mid-nineteenth century as a result of competition from nearby producers in Pennsylvania, collapsing entirely by 1869. Efforts in 1876 by the wealthy Philadelphia industrialist Joseph Wharton (1826-1909) to establish agricultural production of sugar, sugar beets, and cotton also ended in failure, as did his 1891 attempt to export water from his Pine Barrens property to Philadelphia (the New Jersey legislature quickly prohibited the practice). As the region’s industries declined and many of the former hubs of industry were abandoned, the forests instead became a pathway to more enticing locations. Early railroads crossed through the Pine Barrens as they radiated from the transportation hubs of Philadelphia and New York to South Jersey’s early suburbs and the emerging resorts such as Atlantic City and Cape May. By the early twentieth century, the inhabitants who remained in the Pine Barrens lived in a rural economy based at least partially on hunting and gathering, even as surrounding localities became increasingly densely settled and industrialized. As a result of this cultural and demographic divide, populations surrounding the Pinelands began using the derogatory term “Pineys” to refer to the region’s residents. 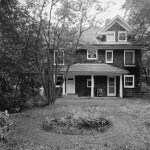 In 1912, this reputation led the eugenicist Henry H. Goddard to publish The Kallikak Family, which presented the pseudonymous Pinelands family as a case study in genetic inferiority. The Pinelands were soon put to new economic uses, however. In 1916, Pine Barrens resident Elizabeth White, who had been raised in a cranberry-farming family, successfully collaborated with botanist Dr. Frank Coville to develop a hybrid blueberry plant for commercial cultivation. This scientific breakthrough led to commercial blueberry farms on White’s property at Whitesbog and elsewhere. Along with cranberries, blueberries became a staple commercial crop of the region. 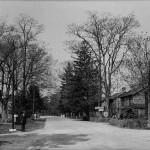 In 1917, following the outbreak of World War I, the Pinelands area also became the site of the military installations of Fort Dix and Lakehurst Naval Air Station. A third military base, the Millville Army Air Field, was established in 1943, during World War II. Despite these developments, the Pine Barrens continued to be largely rural and sparsely populated in comparison to neighboring regions. This made it a point of interest for scientists and environmentalists seeking to study or call attention to its unique ecosystem and its endangered plant and animal life. 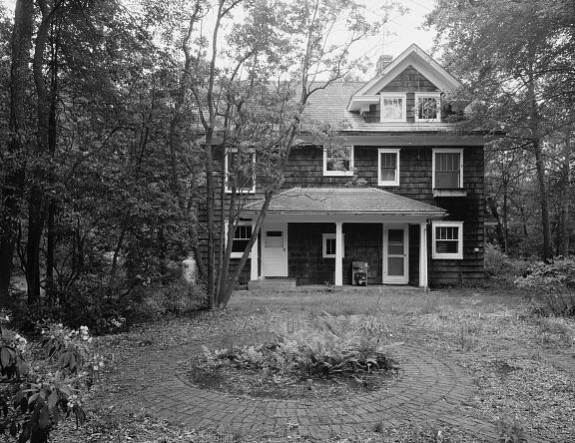 In 1954, the state of New Jersey purchased Joseph Wharton’s old 156-square-mile estate, which had lain vacant since Wharton’s death in 1909. The purchase, which gave the claim to the vast water resources of the tract, also more than doubled the acreage of state parkland. In 1978, Congress designated the federal Pinelands National Reserve (the first such reserve to be created under the National Parks and Recreation Act of 1978), and state and federal agencies were established to control development in the reserve area. The ecosystem was also declared to be a U.S. Biosphere Reserve in 1983 and an International Biosphere Reserve in 1988 by the United Nations Educational, Scientific and Cultural Organization (UNESCO). Featuring local, state, and federal public parks, wildlife management areas, and the historic industrial villages of Batsto and Double Trouble, the Pinelands continue to be a significant tourism and recreational resource for the region. John McPhee. The Pine Barrens. New York: Farrar, Straus & Giroux, 1968. Huffords, Mary. One Space, Many Places: Folklife and Land Use in New Jersey’s Pinelands National Reserve. Washington, D.C.: American Folklife Center, 1986. Sohl, T.L. and L.B. Sohl. 2012. “Land-use Change in The Atlantic Coastal Pine Barrens Ecoregion”. Geographical Review. 102 (2): 180-201. Russell, Emily W.B. “Pine Barrens” and Fowler, David J. 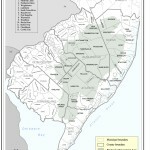 “Pinelands Commission” in Maxine N. Lurie and Marc Mappen. 2005. Encyclopedia of New Jersey. 3rd ed. New Brunswick, N.J.: Rutgers University Press. Mason, Robert J. Contested Lands: Conflict and Compromise in New Jersey’s Pine Barrens. Philadelphia: Temple University Press, 1992. Brendan T. Byrne Papers (1928-2006), MC 1215, held at the Special Collections and University Archives of Rutgers University. Clement S. Brinton Collection (1889-1957), 0692, held at the Hagley Museum and Library. Congressional Papers of Edwin Bell Forsythe (1968-1984), MC 1, held at the Special Collections and University Archives of Rutgers University. Harrison A. Williams, Jr., Papers (1862-2001), MC 2, held at the Special Collections and University Archives of Rutgers University. Martha Furnace Day Book and Diary (1808-1815), 0339, held at the Hagley Museum and Library. Papers of Elizabeth Sarah Kite (1840-1962), MC 579, held at the Special Collections and University Archives of Rutgers University. Pinelands Folklife Project Collection, AFC 1991/023, held at the American Folklife Center at the Library of Congress. Records of the New Jersey Pinelands Commission (1979-1989), MC 783, held at the Special Collections and University Archives of Rutgers University. Records of the Pinelands Cultural Society (1974-1978), MC 930, held at the Special Collections and University Archives of Rutgers University. Whitesbog Heritage Collection, USDA Collection, June Vail Collection, Lydie Guse Blueberry Farm Collection, and Tru-Blu Collection, held at the Whitesbog Preservation Trust. 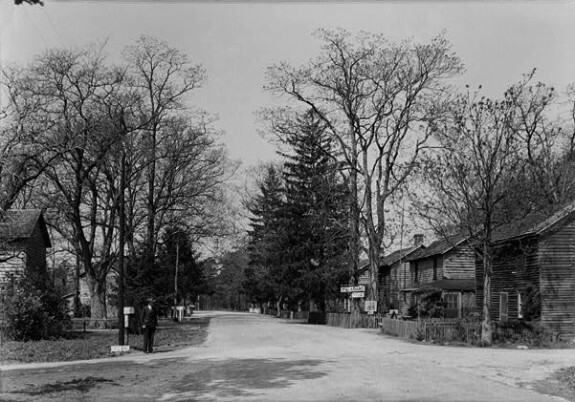 Batsto Village, 31 Batsto Road, Hammonton, N.J.
Lakehurst Naval Air Station (now the Joint Base McGuire-Dix-Lakehurst/NSA), Lakehurst, N.J.
Whitesbog Village, 120 N. Whitesbog Road, Browns Mills, N.J. I loved your article on the Pine barrens. Thank you very much. I’m a pineland photographer and have taken photos of the places in the article, flowers and animals.